Private Tours in Barcelona Tour: Our private tours in Barcelona include the service of private tour guide, private transportation to sites and to and from your hotel. 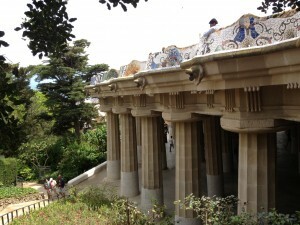 Our private tours in Barcelona are conducted by expert guides. This private tour of Gaudí’s Barcelona will take you on a comprehensive tour of this visionary architect’s most famous works. Your expert tour guide will offer insights into Gaudi’s architectural design and philosophy, and provide the historic backdrop for his work. Along the way, your tour guide will share Antonio Gaudí’s life story, which was at least as controversial and original as his buildings. Profoundly devout and religious, Gaud led an intense life as a mystic.Not Included: Entrance tickets. 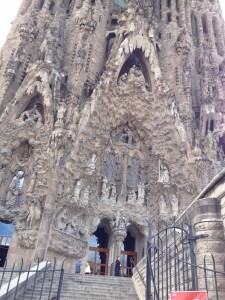 Your private tour in Barcelona will begin with the Sagrada Familia (Holy Family) Church. Gaudi worked on this controversial piece of architecture, combining Gothic and curvilinear forms in a series of 18 towers, for nearly 50 years, yet it remains unfinished today. You will have a private guided tour of this unusual basilica’s interior. Finally, your private tour in Barcelona will include a visit to the Batlló and Milà (La Pedrera) houses, two more of Gaudí’s surreal, beautiful architectural creations (interior optional). Beyond being artistically innovative, with its undulating facade, Casa Milà was pioneering in its architecture, by having a structure of columns and floors free of load-bearing walls.The day’s itinerary will also take you to the Güell Park, where architecture and nature and fantasy and function blend. You will enjoy a guided walking tour through this fanciful park, featuring Gaudí’s whimsical multicolored mosaics and other intriguing architectural elements.